Cloud storage is something that we've all come to rely on these days. Microsoft's own OneDrive is probably your default, with a smattering of Dropbox and maybe a little Google Drive thrown in for good measure? If you want to go further still then other cloud providers do exist, with MEGA having not one but two UWP applications in the Store (Beta and release, plus an old WP8.1 version). Worth me highlighting anyway! Upload your files from your smartphone or tablet, then search, store, download, stream, view, share, rename or delete your files any time, from any device, anywhere. Share folders with your contacts and see their updates in real time. The encryption process means we cannot access or reset your password so you MUST remember it (unless you have your Recovery Key backed up) or you will lose access to your stored files. Inside the app you can upgrade your storage space and transfer quota with a monthly or yearly subscription. 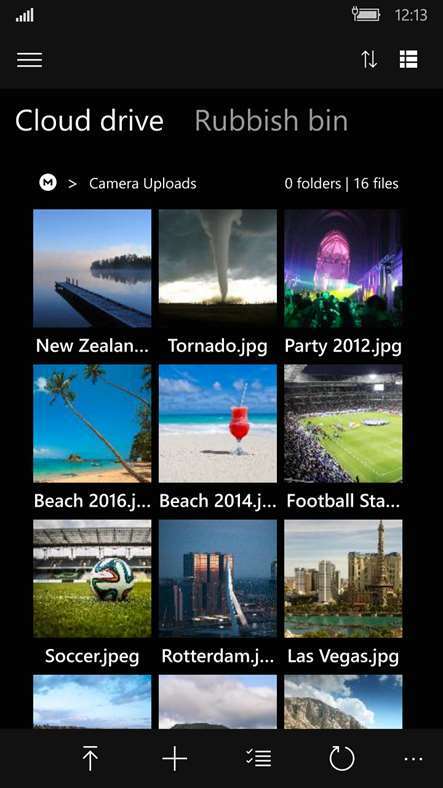 It's standard cloud drive fare - with similar interface to OneDrive - though not as sophisticated. You can grab the UWP app BETA here in the Store. There's also the full release URL, which will serve up both UWP or WP8.1 versions depending on the device and release you have. As to whether to grab the Beta or not, I don't think it makes much difference, though new updates will obviously hit the beta first. For more info on the service itself, please check the MEGA website, for Mobile and for Desktop. It's a commercial service, but tariffs are reasonable and in line with those from Microsoft, Apple, and Google. 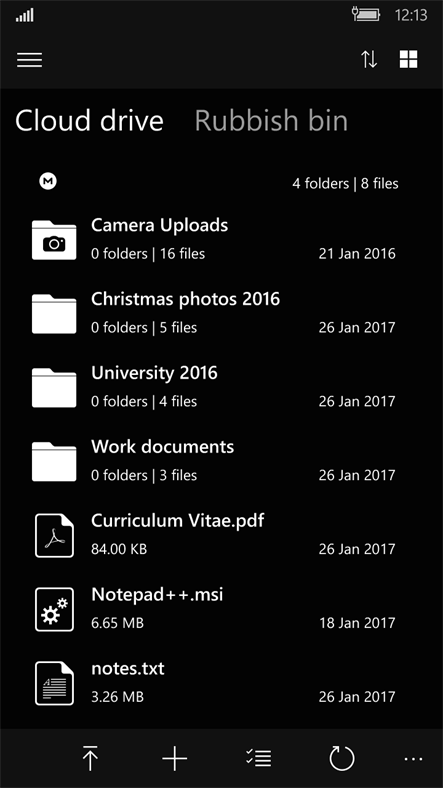 For other Cloud drive options, see Dropbox UWP (last covered here) and GDrive.NET (last covered here).